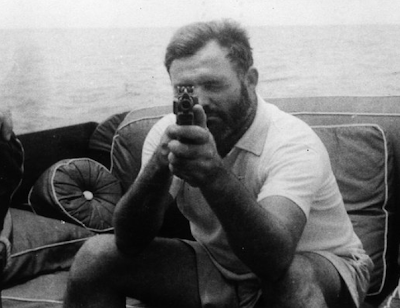 Moldy Chum posted a link to this - 10 Things you probably didn't know about Ernest Hemingway. Interesting dude, Hemingway. I remember reading In Our Time when I was in high school. Never got over it. Went down to the local used book store a few days later and bought every Hemingway book they had.